Brooklyn 2.6 newest version : Released on September 10th, 2014. 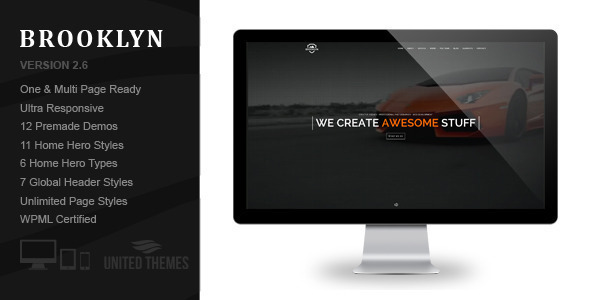 Broollyn, a truly one page parallax WordPress theme with more than one face. No matter if you use it as a photographer, travel / web design agency, nonprofit / environmental organization or even as a music / video producer. You can easily turn it into your personal website.